Legacy of the latte levy — what can be done instead? Back in March 2018, the government dismissed the proposed 25p charge for paper coffee cup usage in the UK, nicknamed the “latte levy”. Instead of penalising the use of paper coffee cups, they decided the best course of action would be to find a different route. Sadly, only one in every 400 coffee cups are recycled, meaning the other 399 end up on the landfill. Many of us enjoy a cup of coffee on the way to work, and a reusable cup isn’t always an option (or might get forgotten in the cupboard once or twice). The solution seems to lie in better recycling habits, so how can the government improve this? Recycling troubles usually stem from plastic combined with the paper used to make cups. However, cafes, restaurants and pubs do have alternative options in the form of biodegradable coffee cups. Usually 100% biodegradable and compostable, the cups tend to be free from plastic or oil-based linings, providing a more environmentally friendly option without requiring any drastic price changes for customers. Bringing a reusable cup can be rewarded with a discount, says one potential solution, which would certainly help you remember to bring the cup with you before you head out! Early trials of this initiative seem to be successful, with many customers enjoying the associated cost savings. But the problem here is that people do forget sometimes. 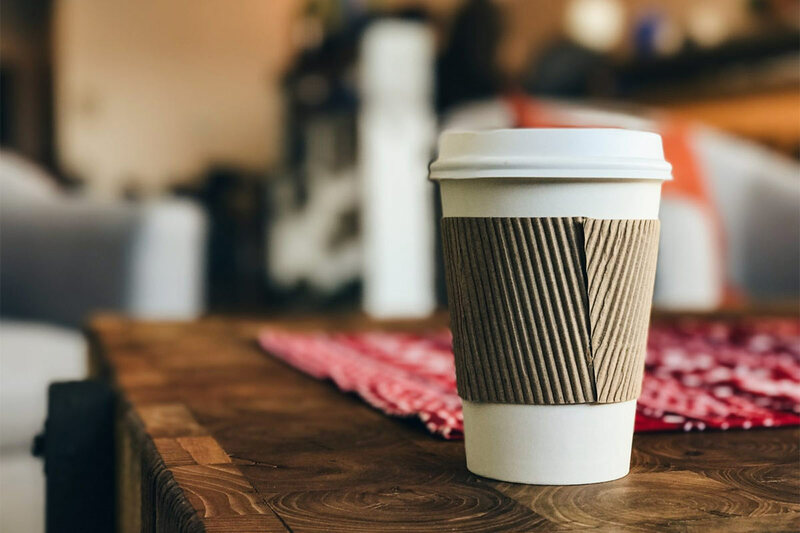 Should a customer forget to bring their cup, they will still need a paper cup alternative, so cafés and coffee shops should not overlook the benefits of biodegradable cups. If there’s no recycling bin available, cups tend to end up in the general waste bin, or worse, on the street. Both of these options will eventually lead to the cups making their way to landfill. Recycling bins are present in the UK, but a lot more could be done to make them more accessible and more frequently spotted. But there are limitations to the UK’s coffee cup recycling capabilities. If coffee cups are placed in recycling bins but the contents are sent to a plant that is not able to recycle them, they will ultimately end up in land fill. Specific recycling bins for coffee and takeaway cups could solve this matter. Ace UK has 415 coffee cup recycling points in the UK, where consumers can dispose of their cups. However, these are generally placed in car parks rather than the everyday bins we see on the high street. Increasing the spread of this type of bin could improve coffee cup recycling rates in the UK. The UK has only a few recycling plants that are able to handle processing coffee cups. Because of their combined plastic lining and paper outer, the majority of standard recycling plants cannot process the cups. Either more recycling plants that can deal with coffee cups are needed, or existing plants need an upgrade to allow them to deal with the problem too. With the UK’s current recycling targets, the chances are that we will need more recycling plants in the future anyway. Essentially, this type of investment then will not only benefit the UK now but also in the future. This is particularly prominent now, given that China has recently banned the import of waste plastic. As one of the world’s leading manufacturing countries, China has previously welcomed solid waste materials from other countries, including polyethylene terephthalate (Pet) drinks bottles, other plastic bottles and containers, and mixed paper. As of January 1st 2018, the UK and other countries can no longer export their plastic waste to China. Consider that since 2012 British companies have sent more than 2.7m tonnes of plastic waste to China and Hong Kong and it’s clear that an issue is arising. Some reports have already detailed a build-up of plastic at UK recycling plants in wake of the ban — clearly illustrating the UK’s need for self-sufficiency in terms of available recycling facilities. Like many good solutions, it isn’t just one catch-all resolution to solve the issue, but a combination of solutions working in tandem. If the UK is to improve its recycling and waste levels, it will need to step up its recycling capabilities.